Today marks the 50th anniversary of President John F. Kennedy’s assassination. The Mudd Manuscript Library celebrated the 50th anniversary of Kennedy’s election in 2010 with an exhibition and more than 30 Public Policy collections contain material related to Kennedy. 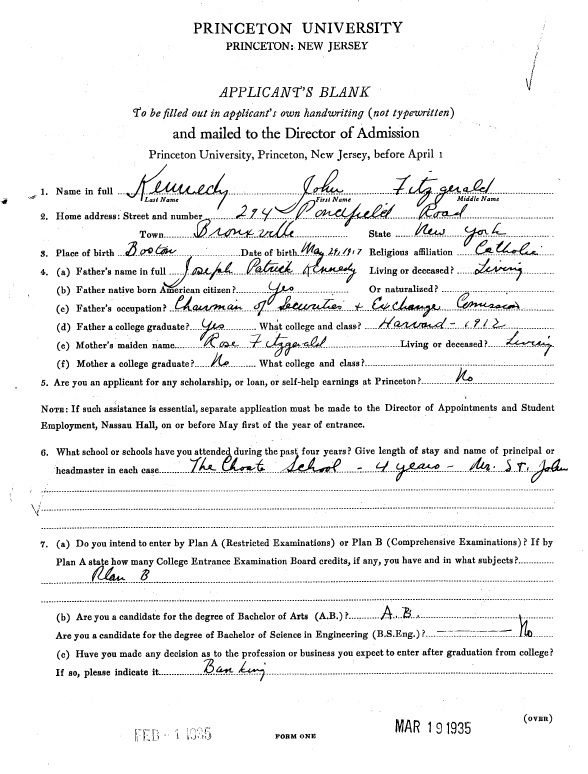 Within the University Archives, his undergraduate alumni file contains his application to the University, details his brief time on campus and reasons for his departure, and some later correspondence with and about him. The file contains his application essay that is very similar to his Harvard essay, which was released in 2011. This digitized file is part of the Mudd Library’s ongoing digitization efforts. 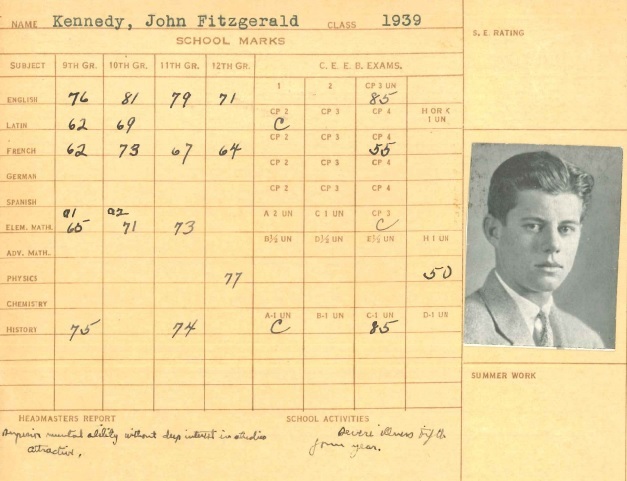 This entry was posted in Collections, Digital Collections and tagged JFK, JFK Assasination, John F. Kennedy, Princeton Alumni by Christa Cleeton. Bookmark the permalink.